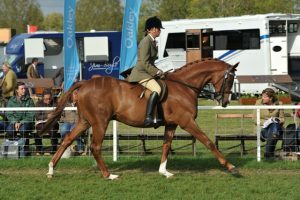 Training a thorough bred horse for flat races uses methods that are distinct from other equestrian sports. A typical racehorse and jockey go through many months of training before they are fit for the racetrack—both individually and as a team. Conditioning a racehorse involves working with two broad parameters—physical and psychological. These parameters involve a thorough assessment of the horse by a trainer and the implementation of a regimen that closely monitors a horse’s bone growth, muscular response, respiratory, and cardiovascular capabilities. While endurance racing requires a greater aerobic conditioning, flat racing usually requires anaerobic conditioning. Physical training caters to the honing of anatomical and physiological factors such as oxygen intake rate, ventilation, the maintenance of a lower heart rate during exercise, increased oxygen-carrying capacity, increases in muscle strength, stamina levels, fatigue, and temperature regulation. Scientific methods also monitor the density of bone, muscle, tendon, lung, and heart tissue in order to fine-tune the training regimen. Psychological training evaluates and conditions a horse to race with confidence and purpose, balancing its natural aggression and drive with its herd spirit—a vital ingredient in building a bond between rider and racer. Training also focusses on minimizing race stress and teaching the horse the dynamics of being ridden, and the rhythm of racing. Racehorses that are trained through an anaerobic training regimen are gradually acclimatized to being able to run at high speeds. This is achieved by conditioning the horse to develop its peak speed followed by training at breeze speeds—usually covering a furlong in 12 seconds. Today, one of the key aspects of anaerobic training is also to ensure that the horse does not suffer from over-training or physical distress. Endurance equestrian training and some parts of a racing training regimen require aerobic conditioning that incorporates a walking, cantering and trotting pace that is sustained over increasing distances while carefully monitoring the horse’s heart rate. As is the case with human athletes, a cool-down period is an essential part of both aerobic and anaerobic training.